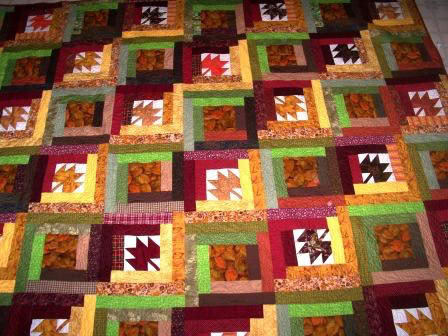 Please join me in welcoming Mary Marcotte as today’s guest blogger as she answers a few questions and shares a few of her quilts with us. How did you get interested in quilting? I’ve been a seamstress all my life. I remember sticking my finger with the needle on my grandmother’s treadle machine when I was a little girl about 6 years old and my mom laughing because, though I cried heavily, the needle didn’t even break the skin. I also remember threading needles for my grandmother because she struggled to see the needle eye. In high school I made clothing for myself. I loved purple at the time and added purple embroidered tulips to my prom dress when I was a junior. I also made a pair of purple pants, which I was wearing when I met my husband for the first time. Both my mother, Ellen, and grandmother, Volcie, were quilters. I was close to both before their deaths, and they influenced all aspects of my life but especially my sewing and quilting. I think about them often when I am quilting and feel the connection to their lives. Inspiration comes from everything–stained glass windows in church, tile patterns on a bathroom floor, flowers, shapes, vintage quilts, photos, magazines–anything can inspire and everything is up for grabs. 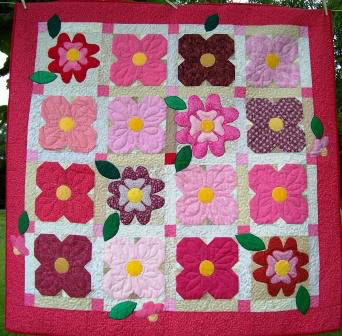 I have found my niche in piecing a large center section then adding a wide border of appliquéd flowers. 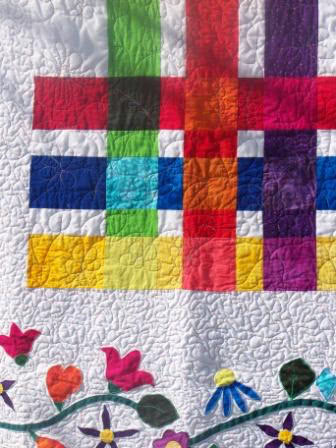 I love the speed of strip piecing and the look of appliqué: combine them and I have a perfect quilt. A favorite tip or tool you use? My husband gave me a pair of quilter’s scissors that will cut through eight pieces of fabric at once. I don’t always want to cut eight of something, but I often want to cut four or six. These scissors are my “good sewing scissors” as my mom and grandmother used to say: that means touch them and suffer! I also really like my Accuquilt Studio….again, 8-10 layers of fabric are nothing. I really like being able to zip through the cutting stages and get to the sewing part. That said, a good tip is to read the instructions and measure carefully. When you’re zipping through several layers of fabric, you can quickly waste good fabric if you skip over the instructions or make an error in measuring. Original, modern or traditional blocks – your favorite block, have you made it yet? One day I want to make a Double Wedding Ring quilt with my signature flowers and vines border. I’m just not there yet; I have so many quilts that I want to make and that call to me in my dreams. Why do you blog? What is your process? What charity efforts, teaching events, retreats, cruises, etc.do you participate in? I have donated a couple of quilts to our church for raffles and I make preemie hospital gowns for the NICU at Women’s and Children’s Hospital in Lafayette because our grand-daughter was born there. I hope to donate a few to a hospital closer to home. 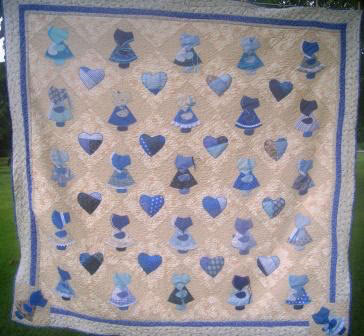 I am in the Cotton Quilter’s Guild and participate in the charity efforts. As a teacher, I have given presentations at our guild meeting and have recently agreed to write a course for QuiltCampus, an online quilt source. Retreats and cruises…..well, wouldn’t that be wonderful? What other personal information would you like to share? I have a wonderful family, enjoy quilting and sewing, and am blessed with many, many positives in my life–God, my family, friends and the most wonderful husband any wife could ask for. To add to this a beautiful studio filled with toys and a few ribbons that recognize my craft, and I just could not ask for more.